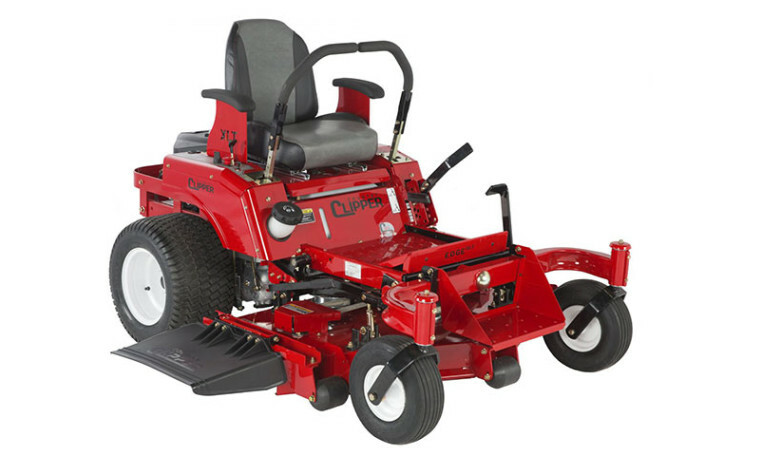 The Country Clipper Edge XLT is equipped with an adjustable padded foam seat, providing lasting comfort for large yards. 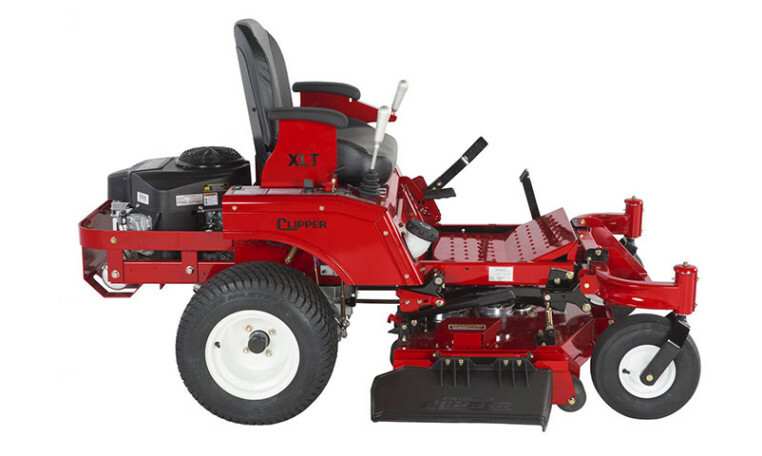 Plus, the extra wide front step makes it easier to get on and off your mower. The Edge XLT is upgraded with our pivoting front axle and deck. 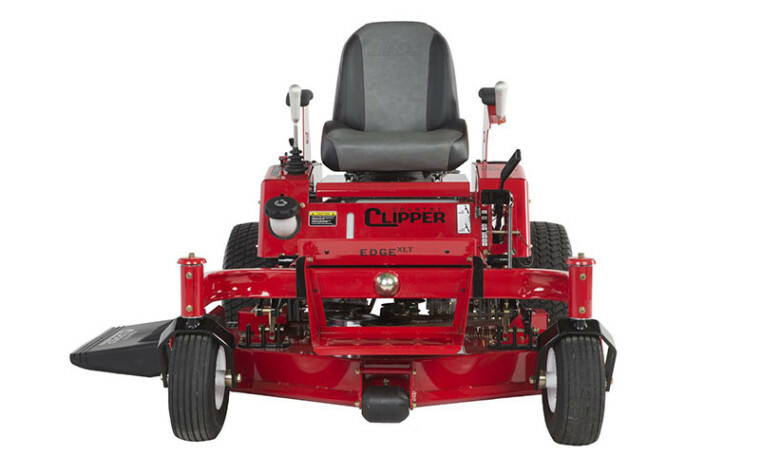 The deck and front tires float freely from the frame of the mower, which reduces gouging when mowing on uneven ground and improves your ride. The Edge XLT is equipped with our stand-up deck. It has never been easier to access the underside of the deck for cleaning and maintenance. This also gives you easy access to the spindles, which are field serviceable so you can get back to mowing quickly. depending on the model: 48" to 60"
Depending on the model: 17" to 21"